This week, I don't have a recipe per se, but more of a technique. Since the beginning of the year, I've been trying to cut back on carbohydrates and increase the amount of protein I've been eating. Dinners are basically the same, except without the pasta or rice. But lunches have been a bit more difficult for me - until I remembered the easy technique of poaching chicken breasts. Poaching is cooking something in a small amount of just-boiling liquid. It works really well here. The chicken is perfect to be eaten as is, cut and served over a green salad, or cooled and made into a different dish. Using a medium saucepan, place 2-3 defrosted chicken breasts in the bottom of the pan. You want them to fit snugly, but not overlap. Put the pot on the stove and bring to a boil. Once it is boiling, turn down the stove to low and wait until the liquid cools to barely a simmer - just a few bubbles here and there. At that point, cover the pan with the lid and cook for 10 minutes. After the 10 minutes is up, turn off the heat but leave the pot on the burner, covered. Allow the pot to sit for 10-15 more minutes. Remove chicken breasts from pan and serve or cool in the refrigerator. Got a great frugal recipe? Link below to your actual post, not your main page. 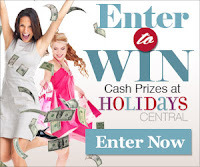 Please only link up recipes - contest entries and other posts are not allowed and will be deleted. I'd appreciate it if you would link back to Frugal Food Thursday as well! For more great recipes, please check out the bloggers listed on the left sidebar under Food Linkups. There are lots of great recipes on each blog and I'm sure you'll find some new favorites! Poaching is a great technique for healthy cooking. I am your new follower and new Frugal Food Thursday participant. What a great idea for a linky.Hope you don't mind me joining in.I linked up my Sunshine Meatloaf. I forgot about poaching chicken breasts too! Thank you for reminding me of this great cooking technique - they stay so moist that way! By the way, I'm co-hosting a foodie blog hop on Fridays called Feed Me Tweet Me Follow Me Home, and I'd love it if you would come along and join in tomorrow! I'm embarrassed to admit that I've never poached anything...ever. I'll do it one of these days! Thanks for hosting today! Good idea! 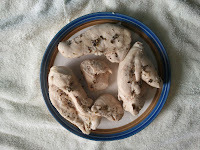 Poaching is a good way to cook boneless chicken pieces -- also for fish fillets. I like your choices of liquids to use, especially the chicken broth. I've linked my quick, easy and frugal Corn, Tomato, Celery and Onion Salad. It's good to pull the ingredients out of the refrig/pantry on a snowy day when I don't want to go shopping for more fresh salad fixings. I've never tried this... scares me a little. But maybe I'll work up to the courage and do it at one point. Thanks for linking up. Your Poached Chicken is a great recipe. I love to have poached on hand to make so many different recipes. Thank you so much for sharing this with us here at Full Plate Thursday. You have a great week end and please come back! this dish looks healhty, might want to suggest this for hubby. Good idea--healthy to keep on hand for various additions, whether stir-fry or salads. So glad you included this over at Food on Fridays! Great idea to cook it in something other than water. Poaching in other liquids can add so much flavor. Thanks for linking up! I agree - cutting back on the carbs and upping hte protein is a great idea. And poaching is a healthier preparation too. I know I already commented on this, but I just wanted to say thanks for linking up on Recipes I Can't Wait to Try! You have a lot of really great food here at the party. I brought over my Butternut Chowder and hope all of you enjoy it. Thank you for hosting and you have a great week end!